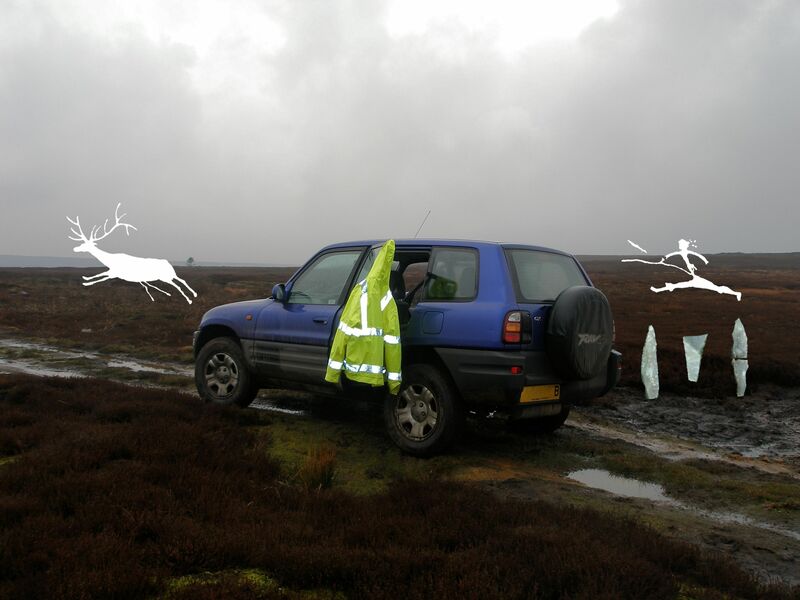 My DoA post this year is, perhaps, closer to the traditional perceptions of what archaeologists do, and comes the week after completing fieldwork in the beautiful Nidderdale in North Yorkshire, England — an Area of Outstanding Natural Beauty (AONB) and over 10,000 years of human presence. 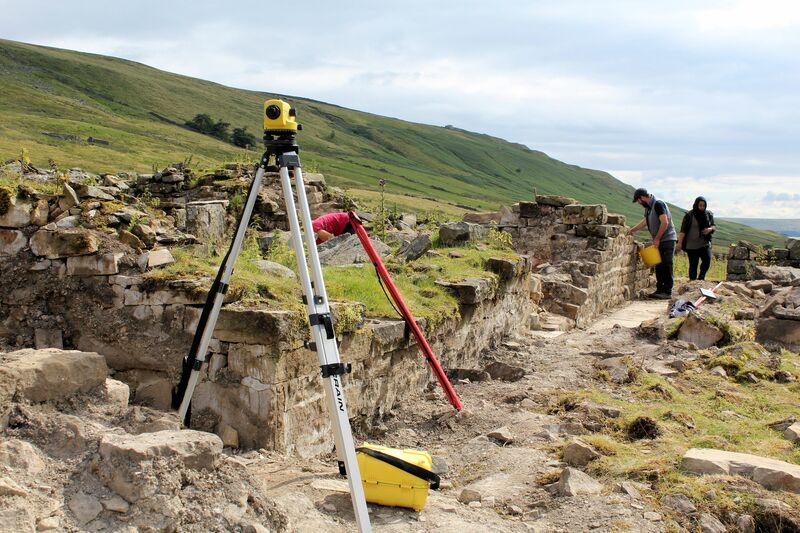 Our 2016 project is funded by the Heritage Lottery and seeks to understand the history (and prehistory) of The Lost Village of Lodge on the Scar House Reservoir which still, today, supplies drinking water to the city of Bradford — by gravitational pipe! 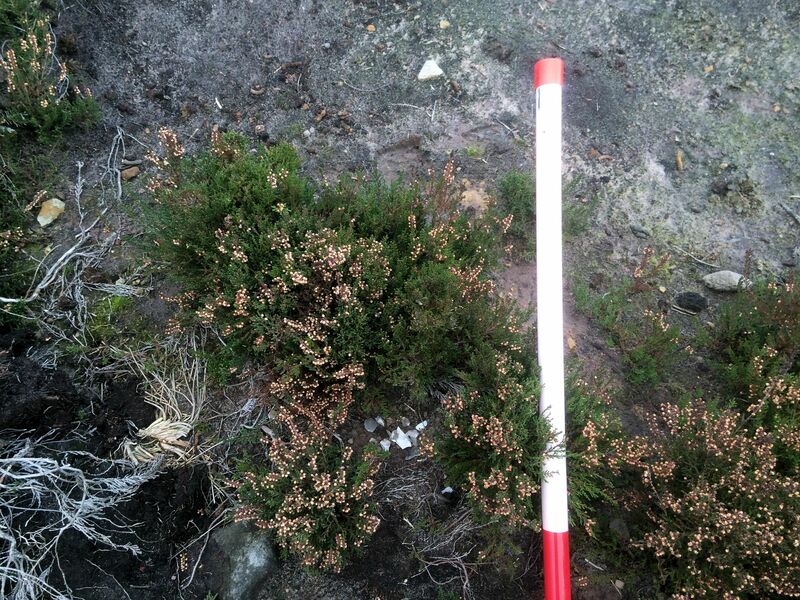 To give a flavour of the varied activities over two weeks of digging, I hope readers will allow me to compress into a single ‘virtual’ day of archaeology. How do you lose a village? Lodge is a small ruined hamlet of four or five farmstead structures and a Methodist chapel. 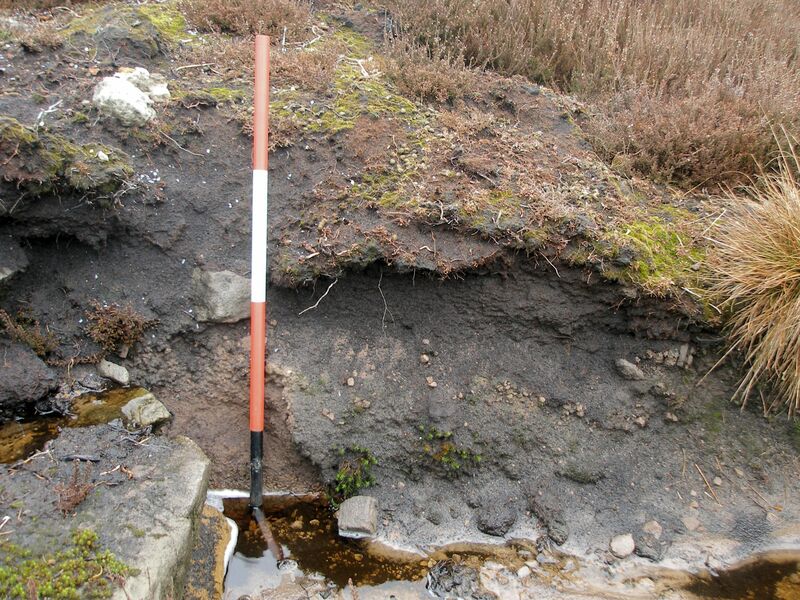 What’s important archaeologically is that it was abandoned in the late 1920s on completion of the neighbouring dams and reservoirs in upper Nidderdale — in order to assure clean water in the catchment area. 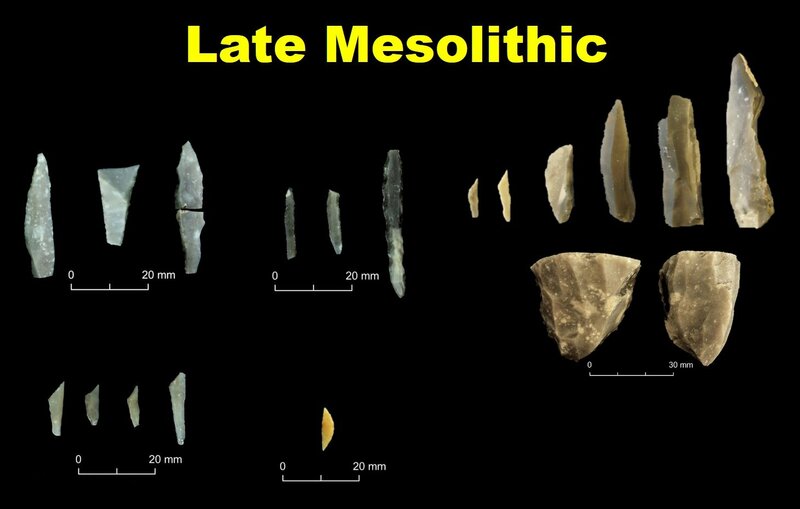 That means nothing has been touched since abandonment, except for the gradual collapse of the latest structures, but that we also have extensive documentary records for the 19th and earliest 20th centuries. 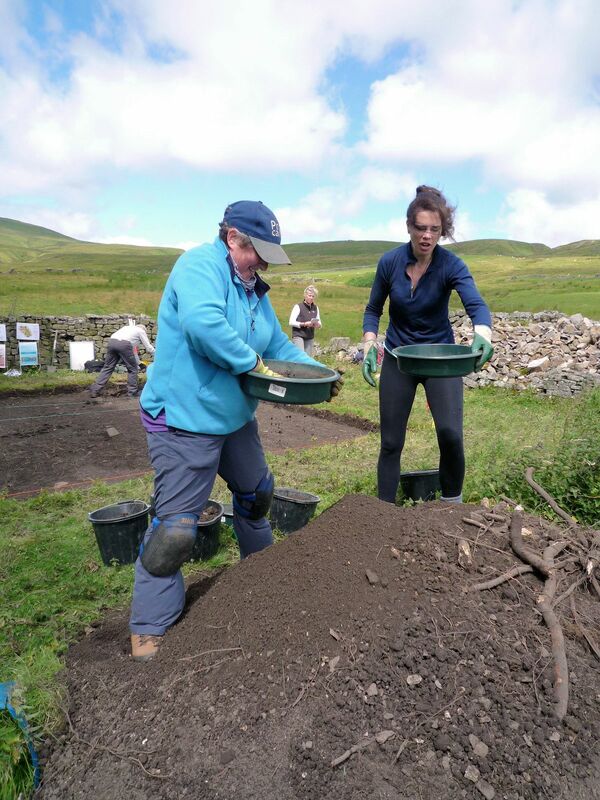 Indeed, one of our volunteer diggers had a direct family connection with the last residents! We can trace some of the inhabitants back to the 17th century when the settlement comprised traditional Yorkshire longhouses with domestic accommodation at one end and a byre or barn at the other, a yard, ancillary buildings and a garden area. There’s also a root store, recently restored, next to a stream. Clearing the building and garden area beyond. Farther back in time, the settlement is recorded on Saxton’s map of 1577 as ‘Lodge howses’, for which we found re-used architectural fragments such as stone window mullions. We also know that the Cistercian abbey at Byland, like many others, had a grange (farm) here before the dissolution of the monasteries under Henry VIII. Might we find evidence for monks? 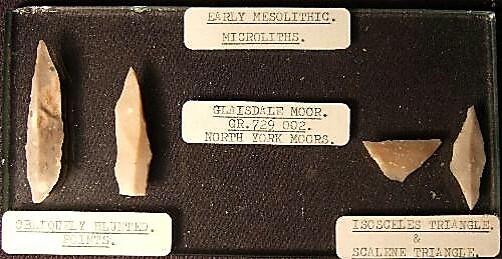 Lastly, we know that people have been here since the Mesolithic period, say around 8500–3800 BC, with extensive scatters of flint and chert artefacts recorded above Lodge and around the dale. 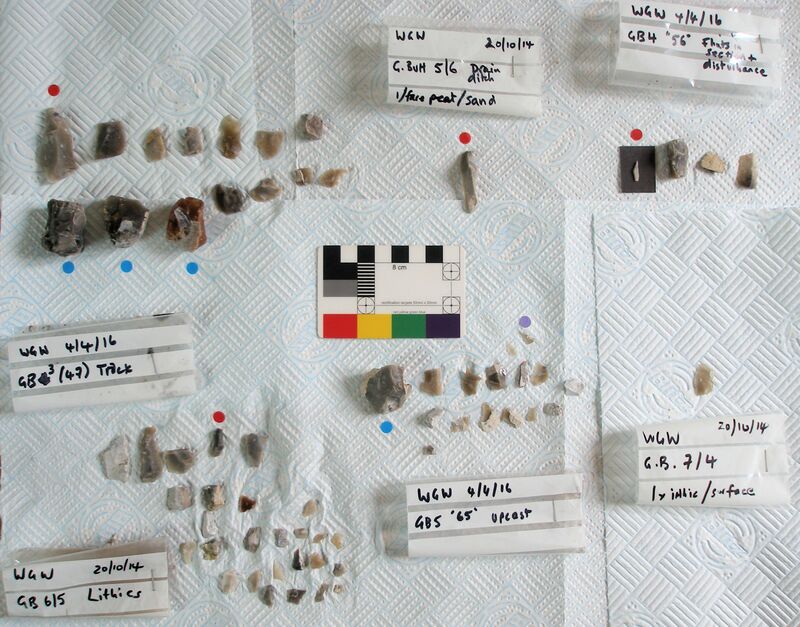 Two flint artefacts recovered in previous surveys — and flint is not geologically native to this landscape and so must have been brought here by hunter-gatherers — probably relate to this period. Everything from the garden trench was sieved to recover the tiniest of finds such as buttons, a faceted glass bead and shotgun cartridges. 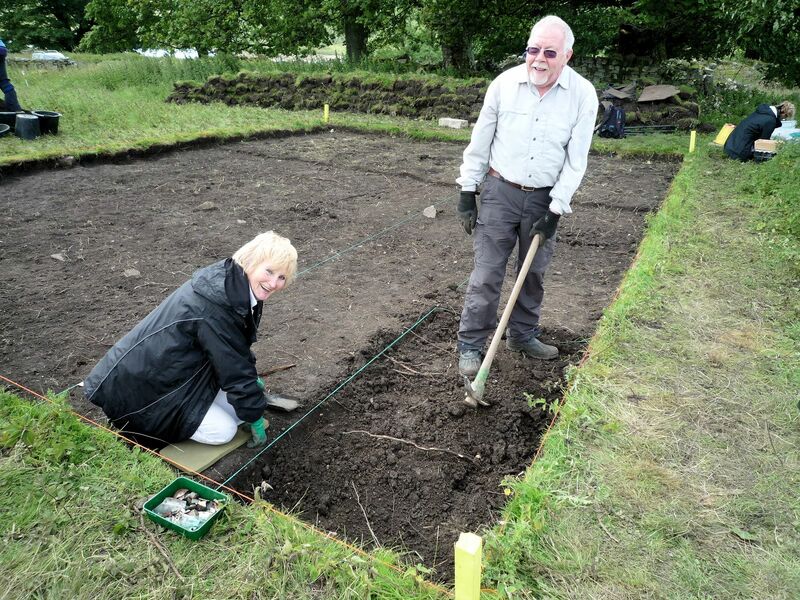 We chose one of the slightly easier structures, effectively a huge pile of rubble with a tantalising likely 17th-century window in the north wall remnant, and an area of the attached garden plot where artefacts lay immediately below the turf and through about 0.4m of wonderful garden soil. 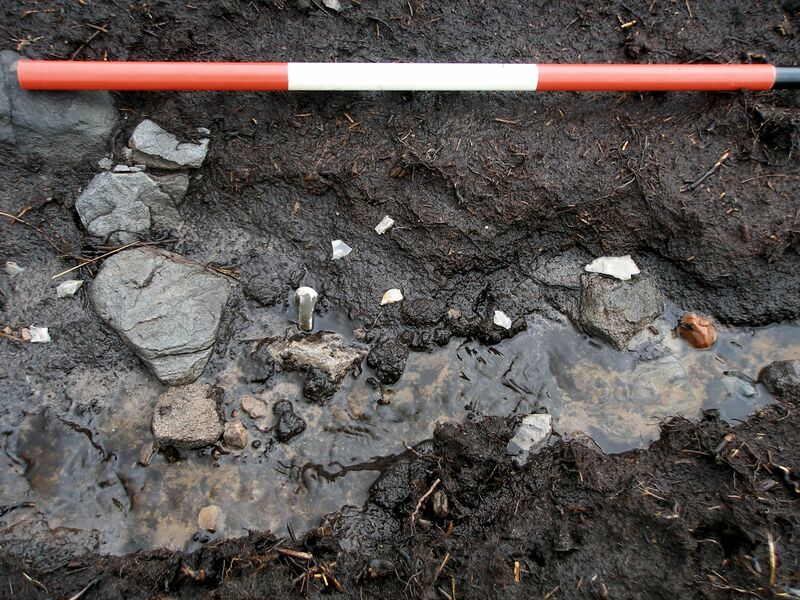 Fragments of the iron oven lay scattered amongst the rubble although a large proportion of the cooking range was subsequently recorded in situ. We did manage to uncover one of the domestic rooms — the kitchen and entrance passageway — and a cobbled-and-flagged byre with a scythe sticking out of the section. Community involvement | BIG DIG 2016! Trainee students recording a test pit. 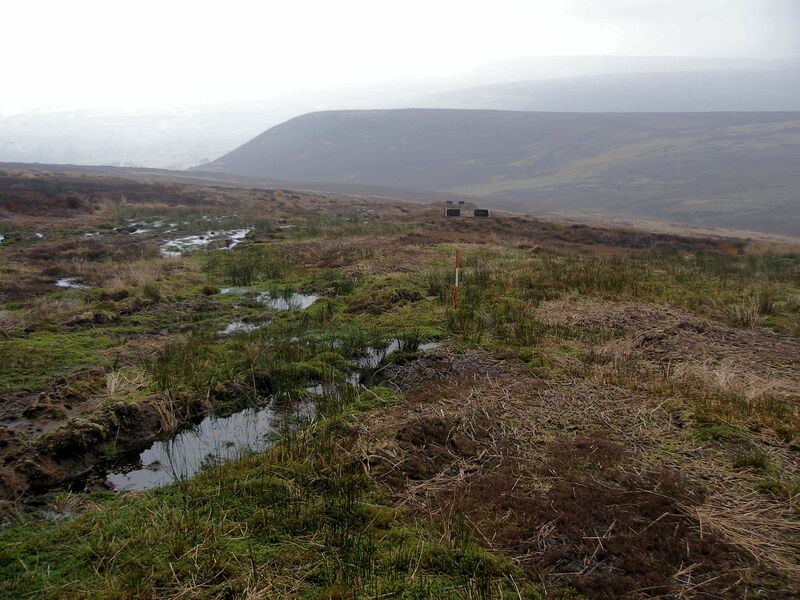 Our excavation was Heritage Lottery funded and orchestrated by the Upper Nidderdale Landscape Partnership, with Solstice Heritage providing the archaeological oversight. We benefitted from between six and 18 volunteers on any one day — including turf removal, tens of tonnes of rubble clearance and, ultimately, backfilling the garden trench. 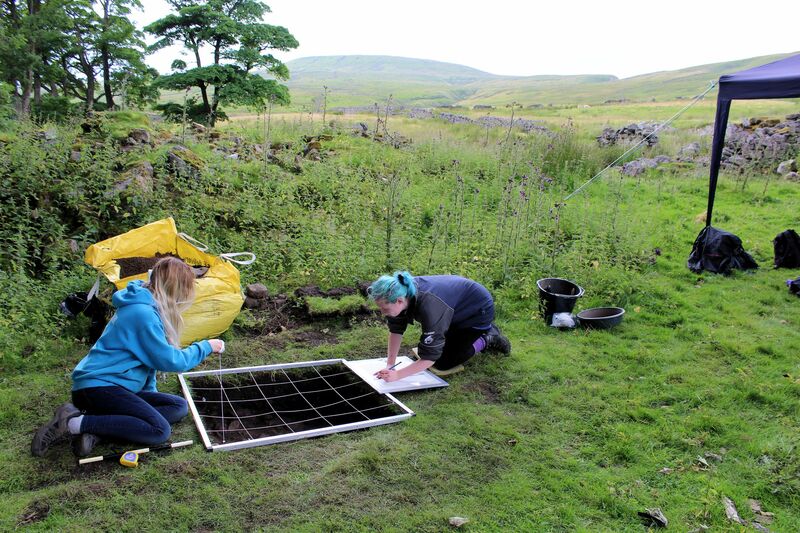 There were experienced people who had been involved in previous fieldwork, as well as folk with no experience at all, plus two trainee undergraduate and two postgraduate students in archaeology from Bradford University, and a sixth-form student intern. All had to endure a 2.5km walk each way every day! Mattocking in the garden trench. 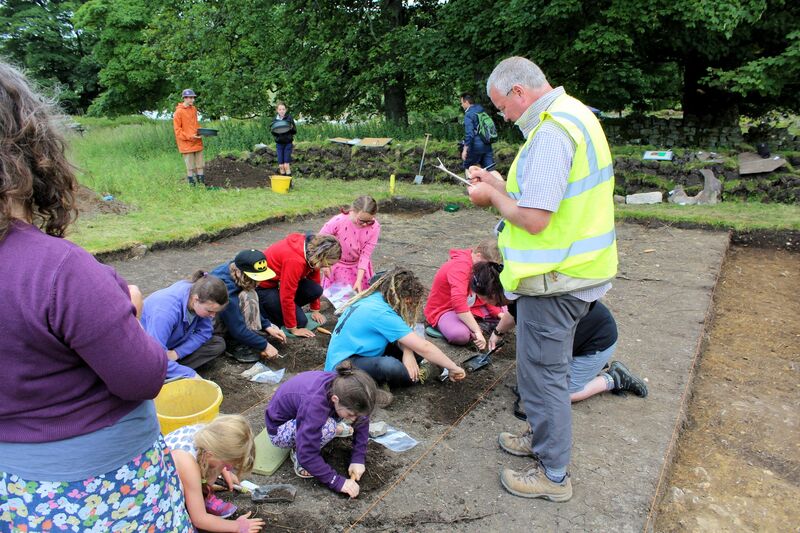 Who wants to be an archaeologist?! 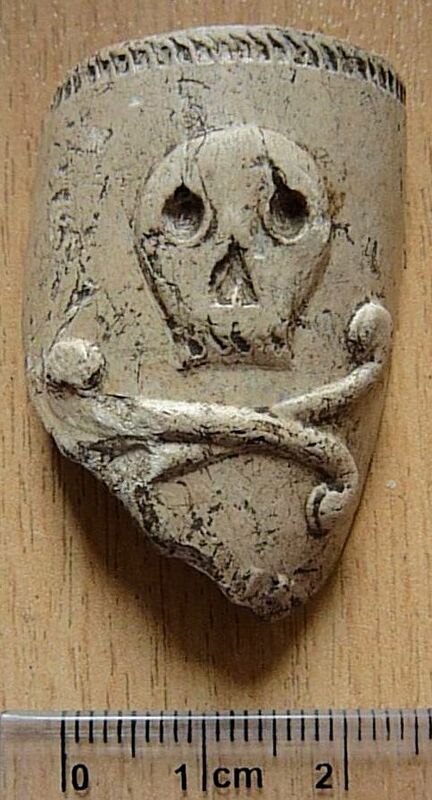 Fragment of a clay pipe bowl with skull and cross-bones motif, popular in the late 19th and early 20th century and associated with the 17th Lancers, a cavalry regiment of the British Army notable for their participation in the Charge of the Light Brigade in the Crimean War. Andy Downey of Lofthouse and Bill Spencer of Ramsgill in the Crown at Middlesmoor. Bill holds the pocket watch – “digging up time” – from the first day in the garden trench. 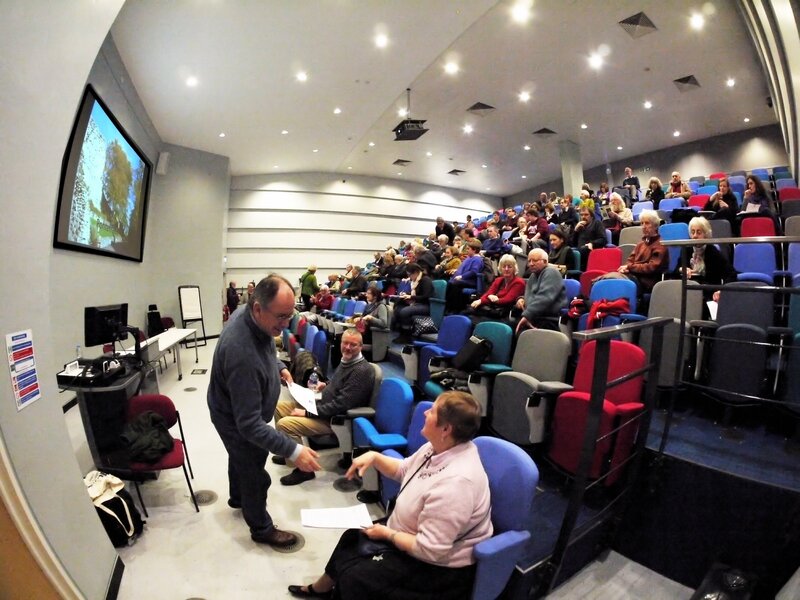 As word of our ventures rapidly passed down the dale it also became evident that the broader community were fascinated by what we were doing and what we might find. 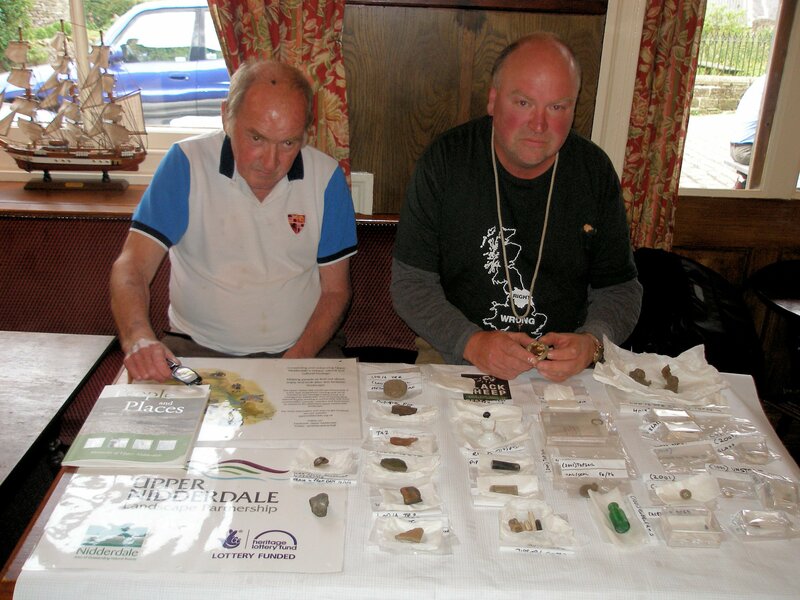 It was therefore a pleasure to offer a finds show and tell at the Crown Hotel, Middlesmoor with over 25 local residents and tourists quizzing us about the intriguing array of artefacts spanning at least 7000 years of activity. The pocket watch, with its loop, was the centre of attention, not least for providing a tangible connection to somebody who we can likely name. Did we find our Monks? Most of our finds were late Victorian and early 20th-century in date: domestic and fineware pottery along with the ubiquitous earthenware; window and vessel glass; ironwork including nails, bolts, horse/mule shoes — and one decorative example that was probably displayed above the cooking range; clay pipes and a great deal more. 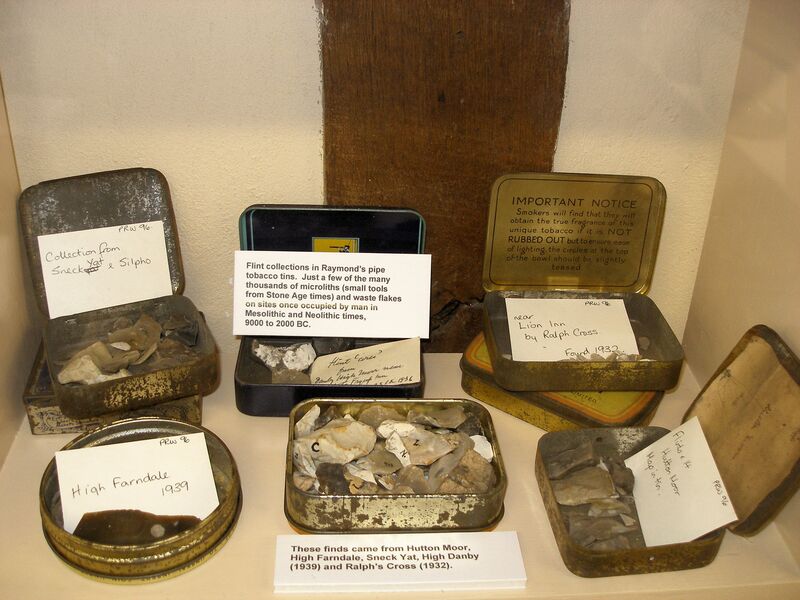 What’s interesting is that, mindful of our latterly conservative Methodist residents, there was a relative paucity of items related to bad habits, such as smoking (few clay pipes) and drinking — a very few beer-type bottle fragments and one sherd of what might be a fine sherry or wine glass. And yet, if one is permitted a moment of conjecture, we did seem to have a cluster of booze bottle fragments in the byre. Was somebody sneaking out on a bleak Sunday evening for an illicit tipple? In fact, we have a reasonably complete sequence of pottery types heading back to the 17th and 16th centuries — and probably glassware too including hand-blown examples. 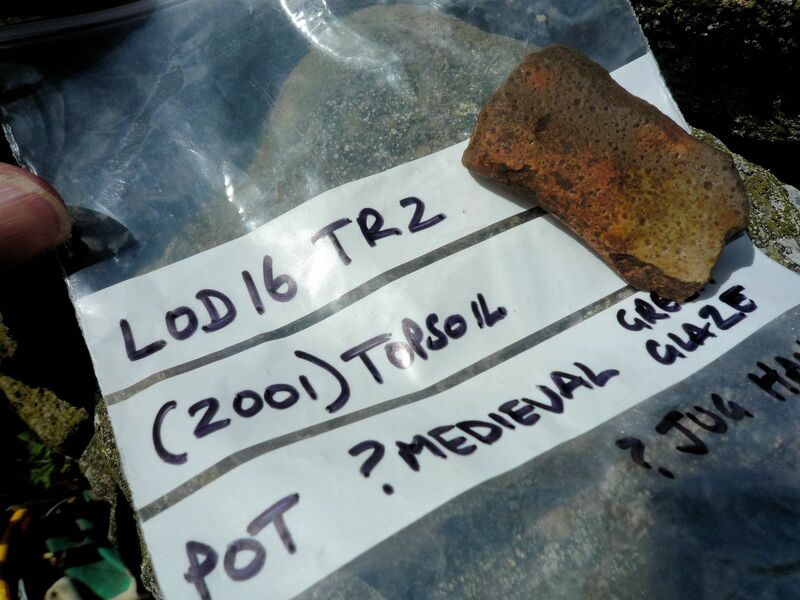 Most exciting are two sherds, one a pitcher handle fragment, where the uneven firing, bubbled surface glazing and abrasion suggest an even earlier Medieval date. Yes, we think we have our monks in a ziplock bag! Thank you so much for reading. 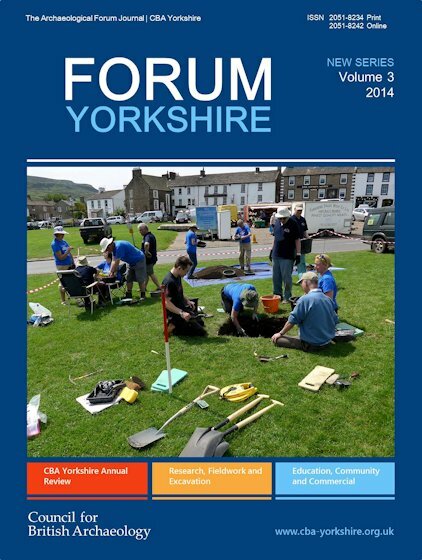 There’ll be plenty of volunteer opportunities ahead in Nidderdale for finds processing and, without doubt, further field projects next year. 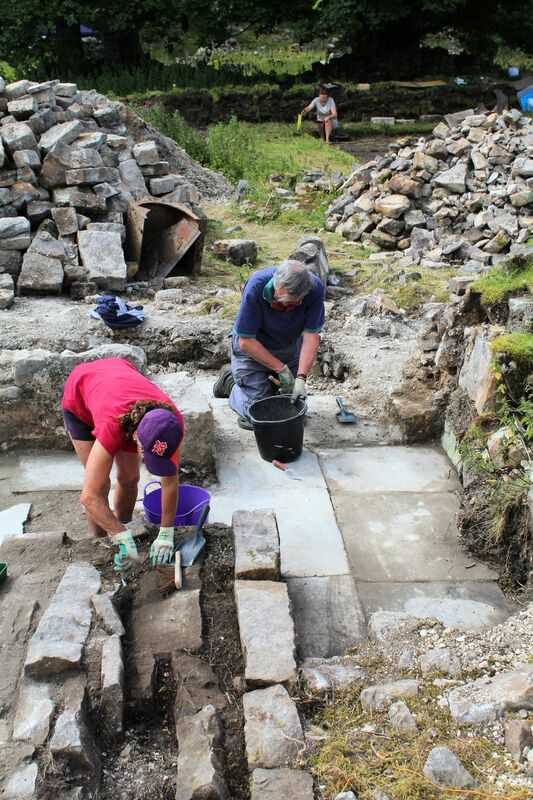 PS, it was archaeology director Jim Brightman who bravely transported the site ‘loo’ by 4×4 to Pateley Bridge for processing.